Driving games may not be my forte. While I can enjoy a good race like anybody else, I’m at something of a disadvantage when reviewing a racing game, I feel like I lack the tools to judge whether a racing game has elements that would make it a “good” racing game. I do, however, understand fun. So this is what I’ll be doing here—trying to see whether all the parts of the Crew 2 work together to bring a cohesive and entertaining experience. Got that? Alright, strap yourselves in, we’re going off-roading. 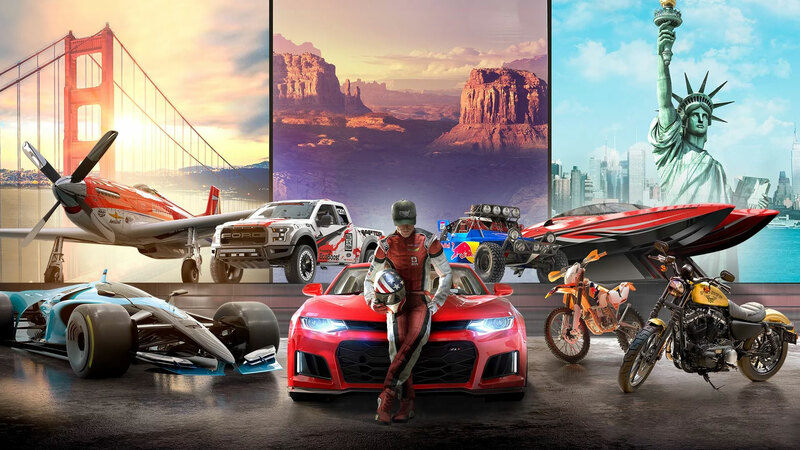 The Crew 2 really has two things going for it—huge, varied, beautiful world filled with landmarks and the option to seamlessly transform your vehicles on the fly, from cars into bikes, into boats, into planes. I will first tackle the former, as the latter is a more mechanical element that will take some time to address, so let’s concentrate on the matters of size and scope first. The Crew 2’s map is absolutely enormous, taking you for a journey across almost the entirety of the United States. And here’s the thing—it’s not just big, it’s filled to the brim with beautiful landscapes and landmarks of the US. Grand Canyon, Arizona Deserts, Mount Rushmore, and it’s all executed beautifully and realistically. And this is where the game shines the most. The long, tranquil stretches of the road, possibly with your crew of friends, those moments when you switch vehicles to take a dip into Mississippi with a boat only to turn into a plane and watch it from above next. These moments where you can admire the beautifully rendered Mount Rushmore on a motocross. 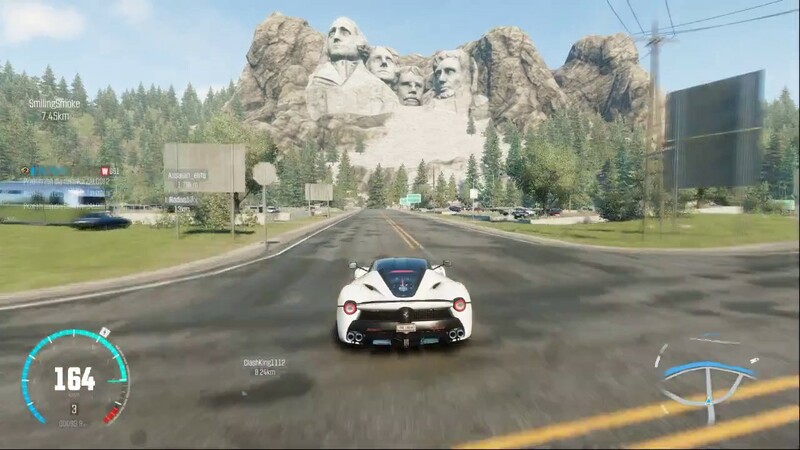 THAT’s the strong suit of the Crew 2. Shame it is then that the game seems insistent on taking that away from you. 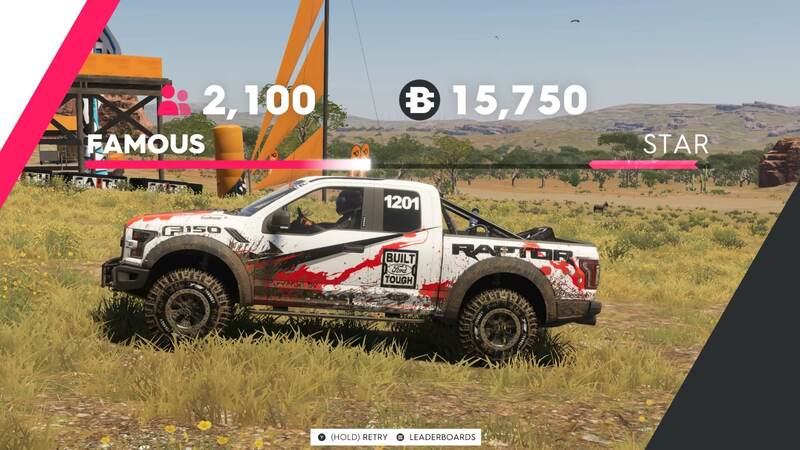 See, the regular campaign of the Crew 2 revolves around you participating in races, events and performing dangerous stunts with the nebulous goal of gaining more “followers” in an attempt to gain fame and popularity through an undisclosed social media platform. But like… Y tho? Through the game it becomes immediately apparent that all this does is serve as a tool for grinding followers, represented by an unrealistically static value (as if one’s fame, like classic virtue, once attained never went away) and a gate to new vehicles and activities. And the game doesn’t actually sell you this idea, it just assumes this is something you want to do without giving you a good reason to gain fame. I cannot BEGIN to express how much I do not care about this arbitrary slider. What could-have-been but never was. And it’s not like this couldn’t have been done well. 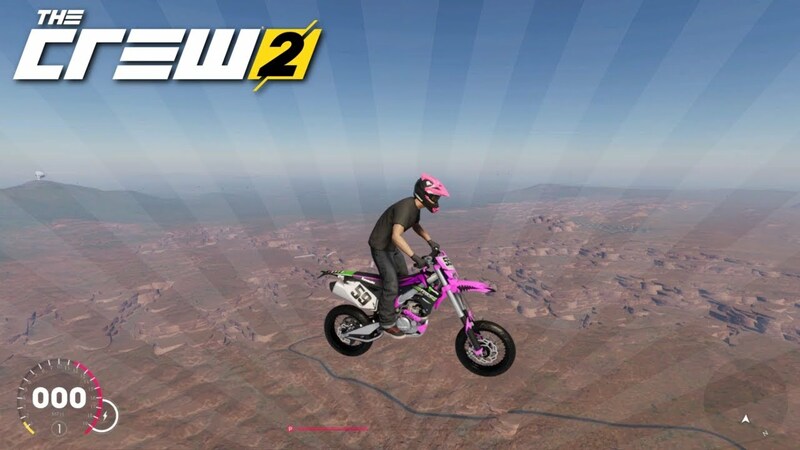 If the Crew 2 featured a fully-realized reputation system whereby your crew is known for specific things, maybe you’re the cool, dangerous, “Jackass” stunt driver type, maybe you’re the aging, whimsical biker type pining for the old days, maybe you’re hip with new technologies and social messages, that would actually be amazing. But the game never does ANY of that. Your followers will never drop bellow the number you attained and they are completely dehumanized—you will never see snippets of their tweets, or Facebook messages, you will never see groupies at events wanting to have your baby, or angry old white people saying how “you’re everything wrong with today’s youth”. Instead you are treated to a system that only frustrates you, accompanied by atrocious dialogue urging you to do events x, y and z to get more followers, for absolutely NO reason. The big failing of the Crew 2 is that you don’t WANT to have followers. It feels like a chore, not an honest-to-god goal you might actually want to achieve. Hours upon hours of grinding for a slight variation of your red sports car that doesn’t handle that differently. The two things still making it somehow work. Now yes, the followers system is bad. The fact that it’s tied to your credit, which buys you new cars and toys doesn’t help. But there are still 2 major parts of the game that, despite this failing, still keep it very much enjoyable and these are transform races and multiplayer, more specifically what has been heavily advertised—multiplayer transform races. Anybody who played the transform races in GTA Online knows how fun these can be with the right track and the right people. 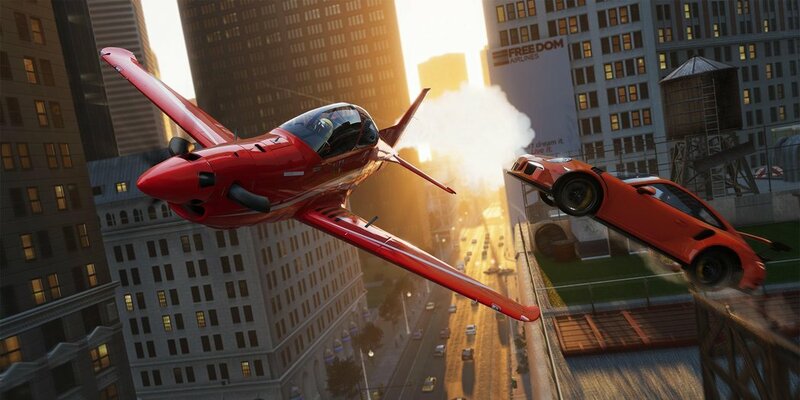 While the Crew 2 doesn’t have a weapon system that can turn a race into a mayhem of explosions and proximity mine-shenanigans, it has perfected the transformation aspect and polished it into a solid slab of diamond. Video-game car races from the perspective of game theory. You can seamlessly transform your vehicle into any other, at any point of the race. This allows you an unparalleled freedom in approaching any situation. A car race is always a puzzle—understanding how to approach each corner and section is the key to victory, moreso than just driving fast. The element of transformation entirely breaks the confines of this puzzle. You have a hard time beating your friends at that L-section? Well have you tried… Not taking the L-section and flying above it? 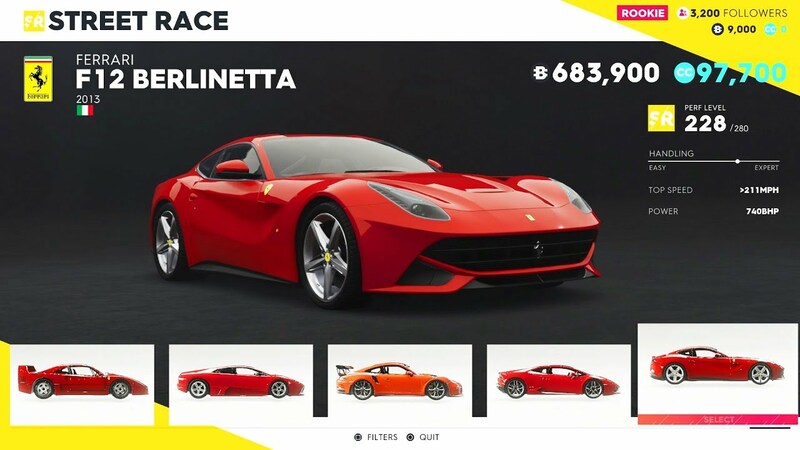 It’s the kind of out-of-the-box thinking that makes races unique in the Crew 2. The level of intellectual gratification you can feel when you get that moment of enlightenment as you completely break away from the set rules of the game is amazing. The multiplayer allows you and your friends to adapt, learn and genuinely grow as people through these races. While I am not a great person to comment on the mechanical aspects of driving these babes, it behooves me to at least make a statement. The driving is… Functional. There are meaningful differences between vehicles, different models feel noticeably different, but there is a lack of variety. Importantly, the boats are somewhat lackluster, I don’t know if it’s controls or camera work, but they do tend to feel sluggish. The Crew 2 is a strange beast. On the one hand I would not recommend it to a singular person, as the name suggests, it truly needs a team of dedicated players to shine. At the same time while it doesn’t bring anything truly unique, the way it approaches transform races really turns them into an incredibly unique feature of the game. It’s not just a gimmick, it’s a wholly new way of racing. While the single player experience may be somewhat lackluster, given a dedicated community and even a meta-game of sorts, this title has huge potential to be immensely satisfying.